Fifth Graders explore the cycle of Jewish Celebrations. Why do we have all these celebrations, how have they evolved and what do they mean to me? The Jewish year includes the commemoration of the Holocaust, and our fifth graders will begin an age-appropriate study of this tragic time in our history and the renewal of our people in the land of Israel. 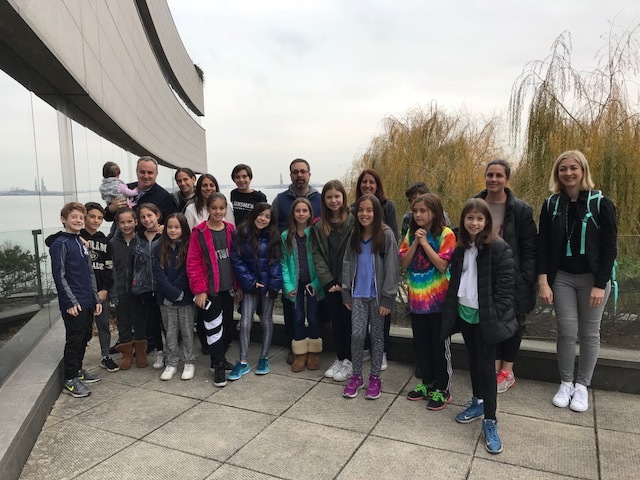 Students and parents visit the Museum of Jewish Heritage, a place to honor those who died by celebrating life. Their Holocaust unit continues into learning about the foundation of the State of Israel and the modern accomplishments and challenges of our Jewish homeland. They will consider questions of courage and controversy and encounter stories of survival and hope. Fifth Graders also participate in a community-building weekend retreat. Fifth graders Hebrew learning continues to work on improving reading fluency and learning prayers and their meanings. In the Fall you will receive your date.